The Wall Street Journal’s annual D: All Things Digital conference is scheduled to kick off today and run through May 31. 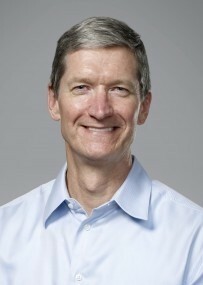 Apple CEO Tim Cook will take the stage for an impromptu chat as the opening speaker at this year’s conference at the Terranea Resort in Rancho Palos Verdes, California. The three-day conference features a who’s who of leaders in technology and media set to discuss the impact of digital technology now and in the future. The current list of speakers lined up for the conference has been listed below. Those unfamiliar with D can expect a conference unlike any other. There aren’t any canned speeches or cheesy product pitches. Instead, conference goers and those following online coverage can anticipate candid questioning from creators and executive producers Walt Mossberg and Kara Swisher. Perhaps the most memorable D conference occurred in 2007 when Bill Gates and Steve Jobs took the stage in a joint interview. Since then we’ve seen many influential figures take the stage including Microsoft’s Steve Ballmer, Facebook’s Mark Zuckerberg and Google’s Eric Schmidt.